In their early years children begin with sporting activities such as football, tennis and running amongst others. However, their musculoskeletal systems are not fully developed so their muscles, ligaments and joints in particular need to grow and strengthen. There is a great risk of distortion, foot deformities and other injuries that can happen when children wear the wrong sport shoes. 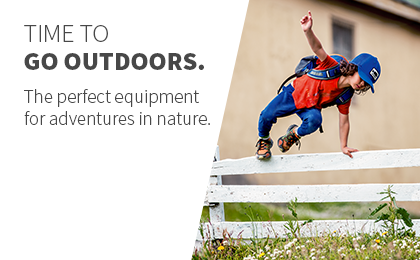 At Keller Sports we pride ourselves as an online retailer of children's sport clothing that offers fair prices with an integrated consulting approach. You can access valuable information on all sorts of popular sports via the live chat. Together we can choose the right products. We always focus on fashionable sporting aspects because it's important to feel and look good. You can see how we combine sports clothing for children in the test reports from our experts. They are designated multi-athletes from specific performance areas that put the new models and innovations through vigorous testing. You can almost be sure that your purchasing decision meets all your needs and requirements with the help from our experts. We are particularly proud of our "Keller Sports Product Matching Engine"
Are you also tired of being "overwhelmed" by practical offers and still not being able to find the right one? We are too! So we have developed our in-house KSPME to aid in the operation of our page for children's sportswear. You can initially choose the sport category and then limit your search results. Do you want to compare various new models of your children's favourite sportswear series' You can easily do this by using the drop-down menus. Are you looking for examples of sports shoes for children that have particularly gentle cushioning qualities and yet have a durable outsole? You can find models like the "GT 1000 GS" from Asics with just a few clicks. 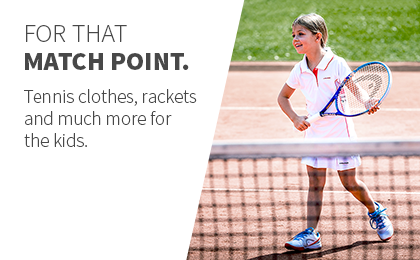 Or do you need children's sports clothing or things like suitable new tennis shoes? "Barricade Team Junior 3" by Adidas are ideal for fast movements and sprints. We see ourselves as your constant companion in all sporting matters and we want you to count on us. Our aim is for children to be offered fair prices for fashionable sportswear and athletic functionality while receiving the advice they need. Browse the releases for children sports shoes and order without any risk - on orders over 150 EUR we deliver for free. A possible return shipping fee will be charged. If you buy before 4pm your articles go will go out to you the same day. You will find that the advice of our team suggests perfectly matched sport shoes for children and intelligent suggestions for combining sportswear. Whether you need your shoes to match a running jacket or a trendy training hoodie, you can find the right outfit. Our experts give you information on all the important features, which is particularly helpful with new collections. 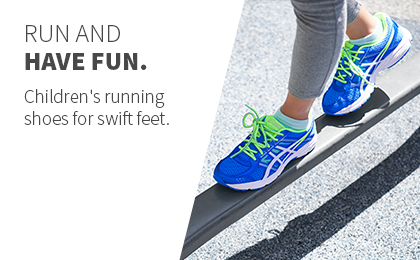 Asics have brought their "Gel Pulse 6 GS" children's sport shoes on the market which combine an antibacterial circulation and arch supports. But what does that mean in terms of ride comfort and impact strength? Our individual product detail pages and reviews from our experts can give you the right answers. Especially when it comes to children's sports shoes. It all depends on the overall picture and how the individual properties come together.